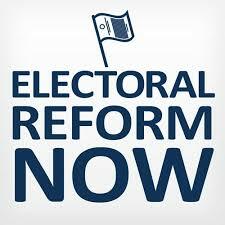 The committee set up by a group of church, business and civil society leaders to tackle electoral reform here in Dominica, will later today issue a report at a meeting with various constituents. The meeting will be held at the conference room of the Dominica Public Service Union building on Valley Road. The committee which met on Monday to deliver its interim report says recommendations were submitted to the Electoral Commission on February 26, 2019 and will later today issue the findings in further details. Meantime, member of the Dominica Bar Association, John E. Charles says they’re hoping for reasonable compromise during today’s meeting. Charles went on that they went on to have an opinion and also have dialogue with the key stakeholders which were very cordial informative and productive. He also stated that the constituents are going to receive this report and also the general public.